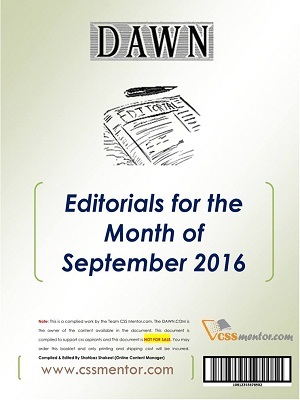 Dawn Editorials is the first E-Booklet produced by The CSS Point team. 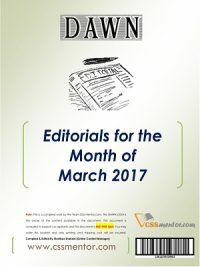 It is one of the best Current Affairs Source for all CSS Aspirants. AWN Editorials is published on monthly basis, Its all articles are from purely professionals writers from DAWN. 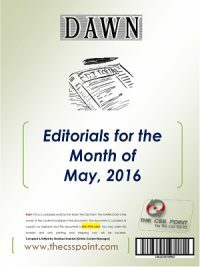 DAWN Newspaper is the owner of the content available in this booklet. You can download online for Freeof cost or request for print out. only printing cost will be added.